When designing her bridal collections, Rime Arodaky thinks about how each piece can be worn beyond the wedding day. 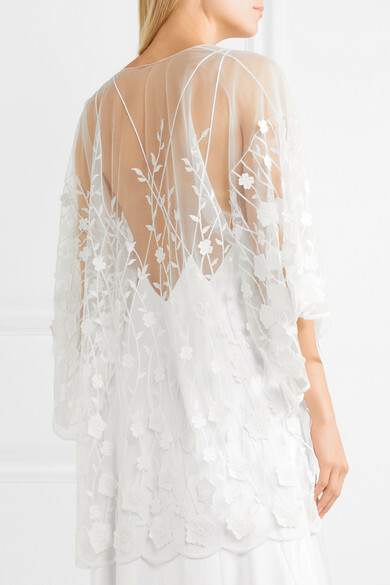 Take this 'Soaia' kimono – it's perfect for draping over a slip gown, but you could also style it with a camisole on your honeymoon. 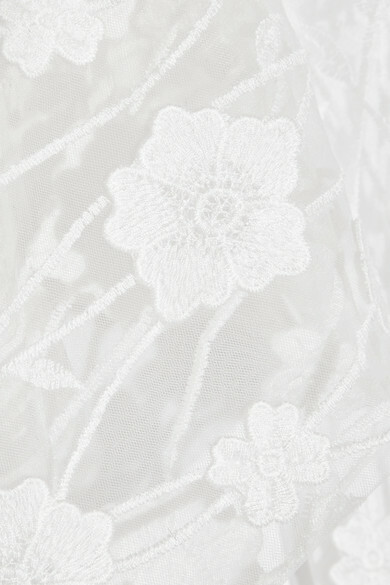 It's cut from lightweight tulle and delicately embroidered with flowers that look so beautiful against bare skin. Shown here with: Michael Lo Sordo Gown, Gianvito Rossi Sandals, Sophie Buhai Earring.